Cast- Santhosh,Sree Raam,Pandi,Murugesh,Seetha,Chandhini,Imman Annachi,Sujatha Sivakumar,R. K. Vijai Murugan,Madhusudhan & A. Manoharan. Goli Soda….This movie is a perfect example of how a masala entertainer must be made. I would say this movie is a perfect start for Tamil Film industry in 2014, we boasted “Soodhu Kavvum” all last year for it’s content, I’m sure Goli Soda will be the case for the year 2014, I doubt there will be a movie this year which will beat this one. Set in the backdrop of Asia’s biggest fruits and vegetable market in Koyembedu Chennai, lies the story of 4 young kids and their life around that market. Vijay Milton arrived with this idea for this movie one day early morning visit to Koyambedu market where he saw young kids working and sleeping on the attics, their lives don’t go beyond the walls of the market. That’s when he started to research on the subject and the result was “Goli Soda”. The 4 kids from Pasanga fame have grown up to be teens with their soft grown mush and beard. Santhosh(Pulli), Sree Raam(Settu),Pandi(Sithappa) and Murugesh(Kuttimani) these 4 kids along with Seetha & Chandhini create a mayhem which you will not expect. Amazing performances by each and everyone. They have out done the mass moments which even the big stars couldn’t most of the times. Imman Annachi from the fame of Kutty Chutties on Sun TV has done a hilarious job.We have seen Hollywood flicks which focus kids and only kids will be the soul of the story, which is hardly seen here and this one is a perfect example for that. When it comes to masala flicks the audience have been deceived by the major film makers with tossing SUV’s high in the air, villains spiraling in the air with just a punch from the hero, all this is seen over the years and still goes on. The best part of Goli Soda is the action sequences which were perfectly edited and gives a you a realistic feel, 4 kids how will they handle a big group of goons??? The scenes were well shot and choreographed can’t find a mistake because it’s perfectly edited by Anthony. Vijay Milton has handled all the sentiments so well, usually the mother sentiment doesn’t touch your heart in regular masala movies, here when Sujatha Sivakumar(Aachi) weeps it does pull your heart strings, she is one fine actress and a perfect mother for these Pasanga. The usual Hero-Villain revenge story was re-invented with kids being the key point. The romance factor was sweetly handled, whether it’s the cute meet or wearing same color dress to express their love for each other. After a heavy blooded fight sequence there is a gentle breeze of romance in the eyes of 2 kids, that was a classy touch by Milton. There are no expensive sets or exotic locations just the Koymbedu Market, no BMW nor an Audi…a motor rickshaw. No spectacular VFX just the magic of editor Anthony with great camera work by Vijay Milton himself. Background score by Seelin was decent and did justice to the movie. The movie runs for 140 mins, you will not find one dull moment, it keeps you hooked on for the entire length. There are few landmark scenes in the movie,which drove the entire crowd crazy applauding,hooting and whistling, usually we get this feel in cinema halls watching Superstar Rajinikanth’s movie. Dialogues by Pandiraj were crisp and delivered well by everyone.Action scenes were surprisingly engaging. 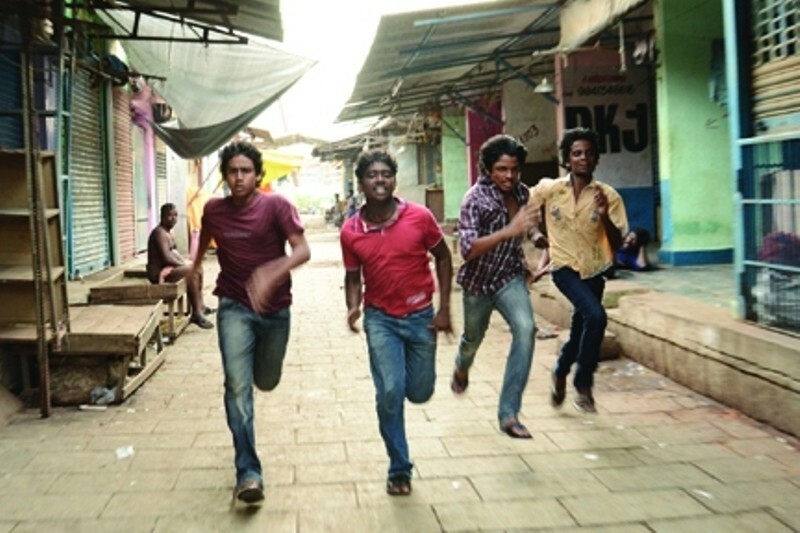 You will least expect the surprises Goli Soda has for you. Well written script by Pandiraj was tastefully directed by Milton, makes Goli Soda a very interesting movie which does not loses it’s FIZZ even after you leave the cinema hall, don’t take a sip gulp it, you will be refreshed!!! 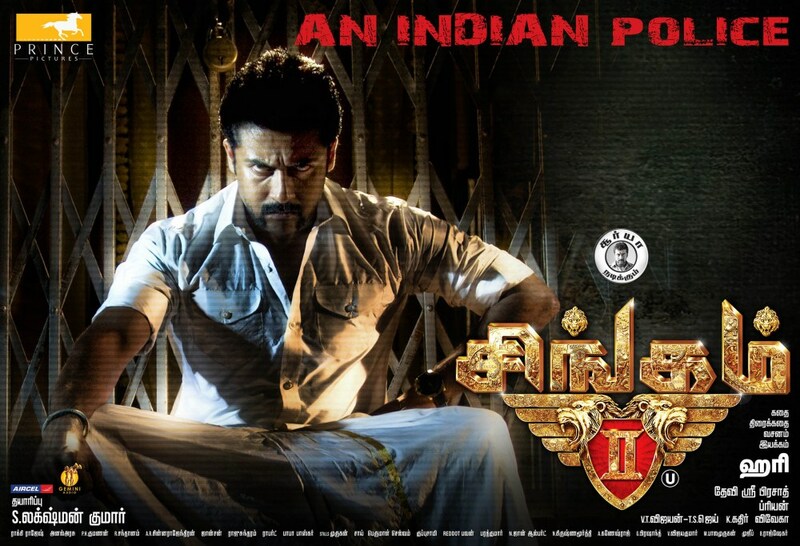 +’s- Well written script,good direction,engaging action sequences and great performances by the kids. -‘s- Background score could have been better.